Due to our better understanding of substance abuse as a mental illness, there are no numerous treatment programs for recovery. Among the most common components of alcohol and drug treatment center programs are individual and group counseling and therapy. These are both discussion-based therapies that are conducted and supervised by trained psychologists in a treatment center setting. 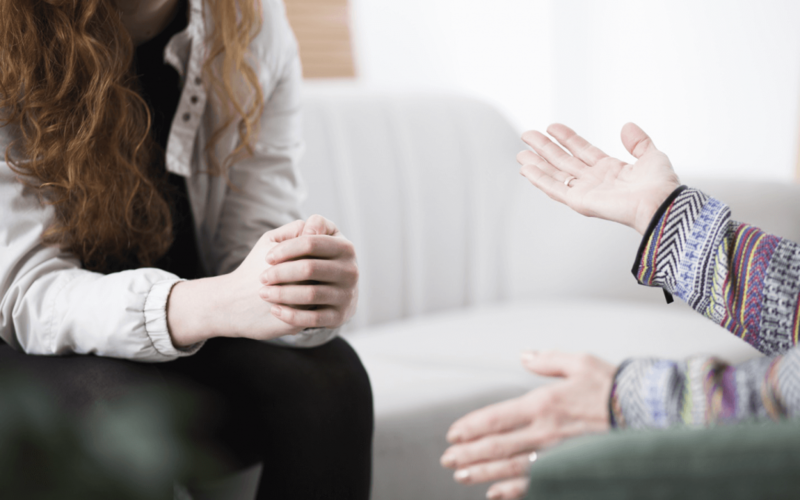 This article explores the differences between individual counseling and group therapy and compares the benefits of both. As is self-explanatory, individual therapy involves two people – therapist and patient, whereas group therapy involves several people brought together in a therapeutic environment. Both types of counseling are used in treatment centers and whether sessions are considered individual or group depends entirely on the number of people in attendance. Individuals sometimes feel more comfortable when they can open up with just another person present. Therapists get to know a great deal about individual cases when they are able to discuss intensely personal issues relating to their substance abuse. Individual therapy is completely confidential unless the client is involved in an action that could possibly pose a threat to others. In certain circumstances such as these, therapists are empowered to notify the authorities if they are offered information that might be relevant to their case. Clients in individual therapy are able to maintain discretion about the fact they are receiving help in a drug treatment center. This is particularly useful for functioning addicts who are capable of over-performing in the workplace despite their issues with drugs or alcohol. The specific individual needs of the patient can be addressed in individual therapy, whereas some may feel their treatment program is diluted by the presence of others in group sessions. The attention of the therapist remains focused on the client, without having to also deal with other individuals’ needs at the same time. Therapists are able to explore more uncomfortable or deeply personal issues that might otherwise not surface in group therapy sessions. Individuals do not have to listen to the problems and issues of other people which may not be relevant to their case, as they do in group therapy. Groups form cohesive units of people all dealing with similar substance abuse issues. This helps patients in treatment centers to form important alliances that can continue to support them in recovery. Group session members feel a sense of inclusion with meetings and they are reminded that they are not alone in their struggle with drugs and alcohol. It is not uncommon for people to think they are the only ones going through the problems caused by substance abuse, and group sessions remove these feelings of isolation. Sharing experiences with each other in group therapy has been shown to be invaluable in motivating others towards continued sobriety. This shared understanding of the challenges of addiction helps to bind group session participants together in mutual support towards achieving the common goal of recovery. Group therapy sessions provide encouragement and motivation from participants who are further along the recovery road. Seeing the positive benefits of combating substance abuse is a powerful tool in promoting long-term recovery for others involved in group therapy. Relationships with other people are often strained to the breaking point as a result of substance abuse. Group therapy teaches people how to improve the way they communicate with others and instills self-awareness which is invaluable on the road to recovery. Group therapy helps individuals find better ways of expressing themselves and in a manner that’s appropriate to the environment. It’s important that participants listen when it is time to and share their experiences openly and honestly when prompted. Individuals in group therapy are not just accountable to themselves and the therapist supervising the session. They are also accountable to others in the group as a part of the shared experience of therapy sessions. Mistakes can be admitted quickly and honestly so they can be moved on from and successes can be used to inspire other session members to achieve sobriety. There is a wide variety of different types of group therapy available, to appeal to people from all walks of life. Some groups are faith-based or gender specific and others are secular or complementary and so it is easy for people to find sessions amongst people just like them. Whether in a one-to-one or group session, the most valuable aspect of both types of therapy is that it allows addiction treatment center patients to openly communicate. Many people become isolated and withdrawn as a result of substance abuse, often because they are in denial there is a problem or fear they will be judged harshly. One of the most important aspects of a rehab treatment program is to provide people with effective tools for better communication which empowers them to set firm boundaries to protect their sobriety. Recovery from substance abuse is a long-haul journey that takes a considerable amount of time and effort to achieve. That said, treatment centers provide the perfect environment for people to become proactive in their own care by sharing their story either on a personal basis with a therapist or in a group setting. Some people thrive in group therapy, buoyed to succeed by their sense of accountability to others in the sessions. However, everyone has different needs and ultimately, the route to recovery should include elements that the addicted individual is completely comfortable with.